UpFront with NGS: National Genealogical Society 2011 Family History Conference -- Single Day Attendance Highlights! National Genealogical Society 2011 Family History Conference -- Single Day Attendance Highlights! (6 May 2011) – The National Genealogical Society's (NGS) 33rd Family History Conference, Where the Past is Still Present, will be held on 11–14 May 2011 at the Charleston Area Convention Center, 5001 Coliseum Drive, North Charleston, SC 29418. Every conference day provides five hours or more of programs and lectures from a choice of ten tracks. If you would like to attend a national genealogy conference but only have limited time, daily registrations are available onsite. An exhibit area with more than one hundred exhibitors will be open and free to the public Wednesday through Saturday, 11–14 May, and will include the latest in genealogical software, online research providers, and DNA testing services. The Exhibit Hall will be open until 7:00 p.m. on Thursday evening. If your ancestors lived in the south, you will want to sample the States and Southeast Track that will have several lectures about South Carolina record groups as well as research in North Carolina, Virginia, Georgia, Alabama, Mississippi, and Kentucky. Two GenTech tracks each day will offer lectures about using technology to enhance your family history research including genealogy software, free and subscription websites, and how to digitize and preserve your records. If your research has not included the use of religious records, we will have a lecture track on Friday and Saturday providing an overview of religions in the Carolinas followed by specific lectures about researching Lutheran, Catholic, Methodist, Baptist, Quaker, and Jewish records. On Friday the conference will highlight a track on African American research including lectures about using the Trans-Atlantic Slave Trade Database, researching your ancestors before the 1870 US Census, researching African American records in Charleston, and how to determine the name of a slave. Two additional lectures will talk about the role of African Americans in the Civil War. A DNA track beginning Friday afternoon and continuing through Saturday will explain how DNA can help your family history research. Learn about using DNA tests and what you can learn from them. Hear about the latest developments in autosomal DNA. Saturday will feature several lectures on researching your Cherokee ancestors whether they marched west along the trail of tears, or stayed in the Carolinas and married their Scots-Irish neighbors. 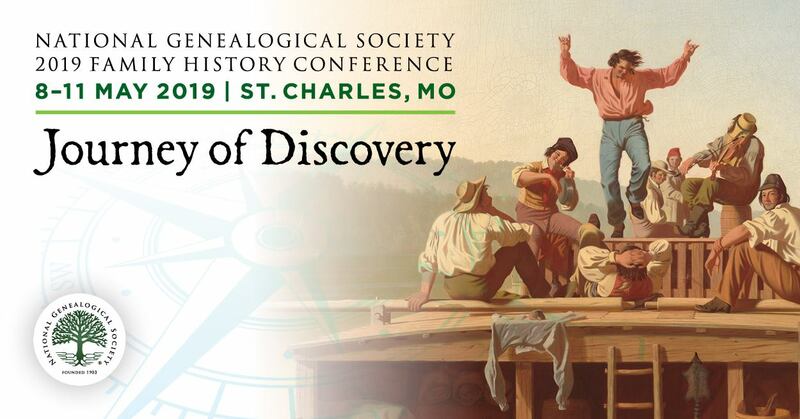 Full conference registration is available onsite with a discount for National Genealogical Society members. Program details about single day registrations can be found at http://www.ngsgenealogy.org/cs/conference_info.